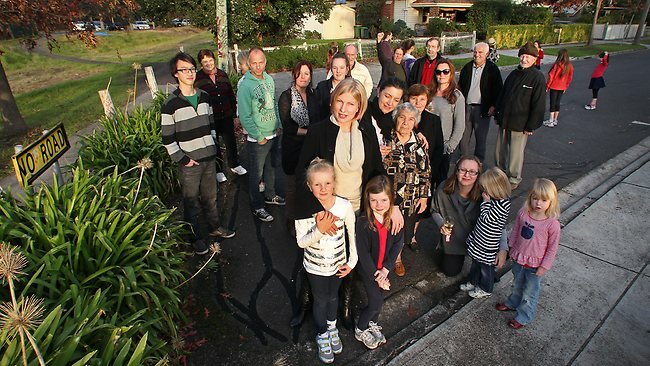 CUL-DE-SACS like Neighbours' famed Ramsay St help create happy kids and vibrant communities, a new study has found. But some of these highly desirable dead-end streets are under attack from developers, town planners and emergency services. A survey of adults who grew up on cul-de-sacs has found dead-end streets help create play spaces for children and provide a safety net for young people. In addition, the lack of traffic gives children a greater chance for uninterrupted play. Researcher Thomas Hochschild, from Valdosta State University in Georgia in the US, interviewed 73 adults who grew up in cul-de-sacs, and compared their views with adults who grew up on through-streets. He concluded dead-end streets "enhance children's neighbourhood experiences and create more vibrant neighbourhoods". But his research, published in the most recent Childhood journal, also shows such streets are not encouraged by emergency services, town planners and environmentalists. In some US cities they are even outlawed. A spokesman for the Victorian Department of Planning and Community Development said the "planning and design of Melbourne's streets to include cul-de-sacs varies between municipalities". "Each municipality will determine the use of cul-de-sacs based on a range of factors such as natural land barriers, traffic flow, pedestrian and cycling links, and road safety," he said. In Melbourne, some cul- de-sacs are under attack as suburbs change to meet the needs of a growing population. The residents of Alphington's Hanslope Ave are fighting to ensure their much-loved dead-end street doesn't become a busy access road for a nearby unit development. Mother of two Amy Mochi said the street was "the most incredible community". "We have an annual Christmas street party, regular parental dinners together, a street dinner party and regular communal Sunday drinks on the street," she said. But this community hub is under threat. If the nearby Jika Motel site were turned into 55 units, 96 cars from it would be "directed straight into Hanslope Ave" via Tuckett St, she said. "We have obviously been actively involved in ensuring that our little street is disrupted as little as possible but it will completely alter the dynamics of our extremely friendly neighbourhood if the development goes ahead," Ms Mochi said. Darebin Council development director Michael Ballock said no decision had been made on the development. He confirmed objections had been received fromHanslope Ave residents.